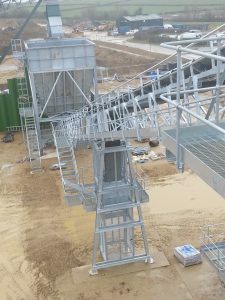 View of the new Centristic installed sand plant at Kempsford quarry for Aggregate Industries. 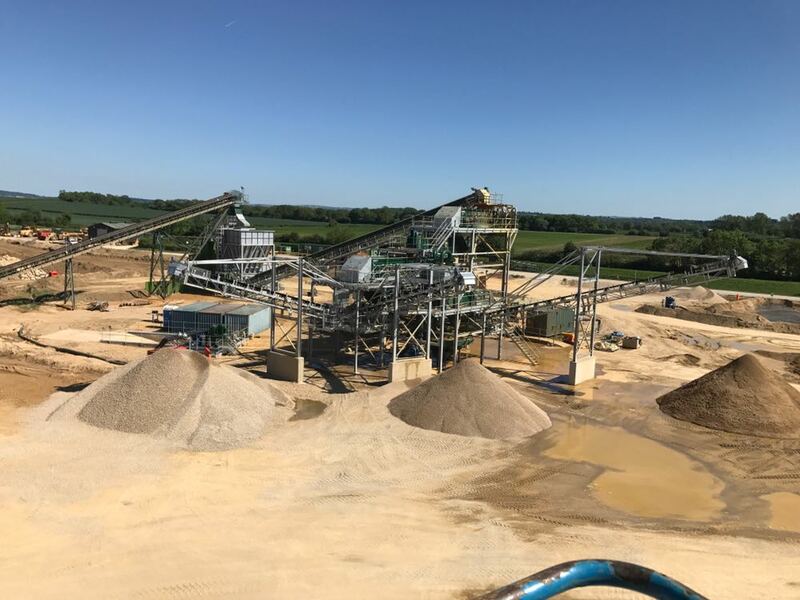 Aggregate Industries Limited, Kempsford Quarry, United Kingdom operated a sand & gravel processing plant last re-equipped in 1987 with the installation of screening & washing facilities for up to 200 K tonnes per annum. Centristic won the contract to modify the existing conveying system and build a purpose built 300tph washing and screening plant in order to increase production of Sand & Gravel for the next 20 years. The business objective is to supply some 350K tons per year to the existing and new customer base in and around the South East of England. 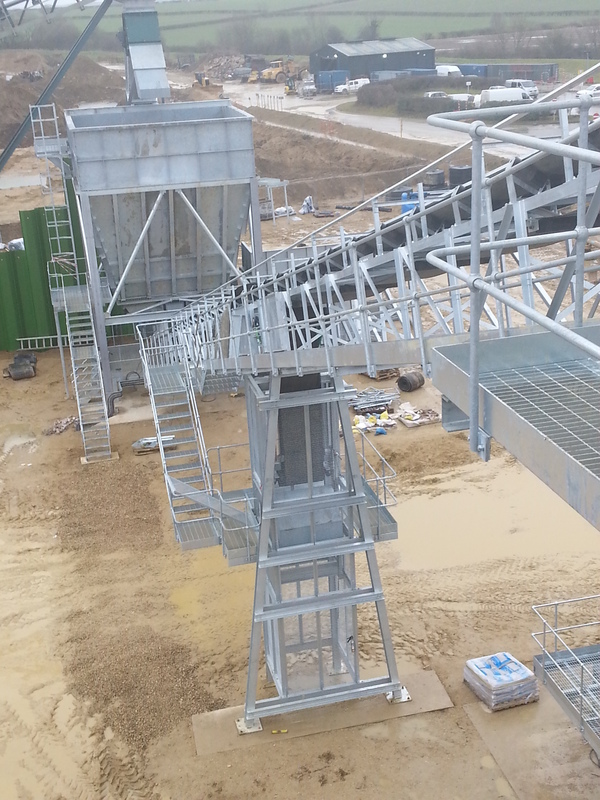 View of the new Centristic installed sand plant conveyor at Kempsford quarry for Aggregate Industries. The design and subsequent installation of the new project ensured that the old mobile plant could remain in production until such time the new plant was fully commissioned and handed back to Aggregate Industries. Eliminating any possible loss of production or break in the supply chain. Centristic carried out the role of Principal Contractor and ensured the project was delivered safely and on time. The completed plant was fully CE marked under EN1090 Class 2 CE marking. Throughout the design of the plant, Tekla BIM site was downloaded by the client so models in progress could be monitored, viewed and any necessary changes noted and addressed, prior to full detailing and issuing for production. Tekla Model Sharing is a truly innovative tool that has significantly increased productivity for the Centristic design team. It accelerates work within the whole production chain; not only when modelling but also throughout the production and erection process. Tekla Model Sharing allows the client and each user to have a local version of the BIM model on their computer or on a network drive. The model data is shared and synchronized through a secure Microsoft Azure cloud sharing service.